A well planned BBQ party takes the stress out of hosting and sets a perfect scene for your guests to have a great night with great food and great company. You want your party to be as easy and inviting as possible and with Burgers on the menu it’s all about accessories and setting the scene! Setup a DIY burger bar and invite people to experiment with new and flavorful toppings. Need some inspiration? 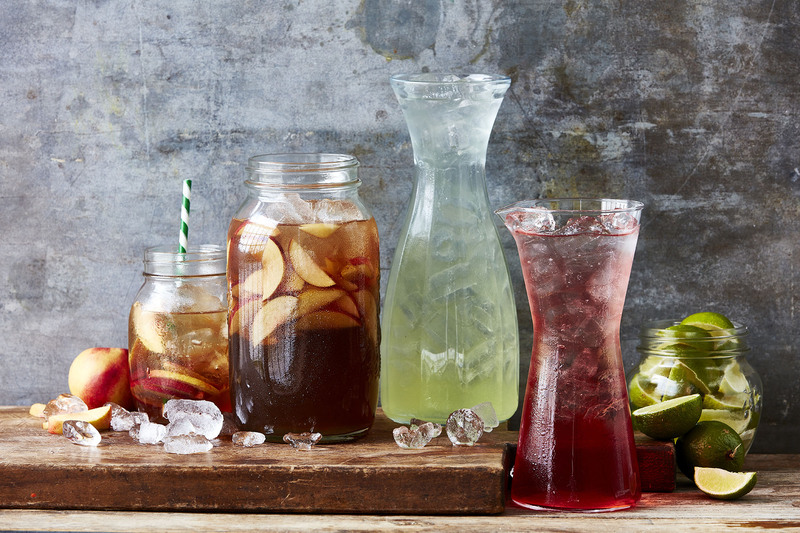 Get people talking and mingling with delicious cocktail pitchers – whether it’s a homemade iced tea, a pretty Margarita or a Cranberry & St. Germain pitcher, the drink section becomes part of the décor! 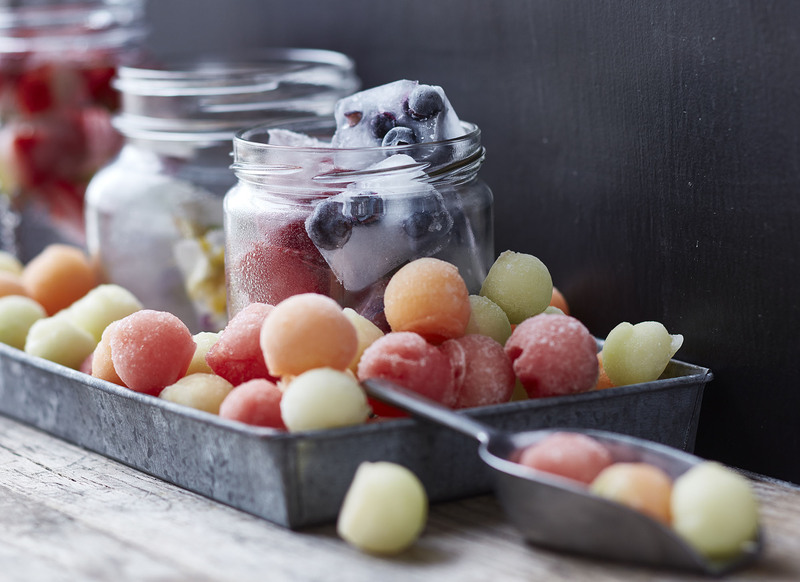 Ice cubes with blueberries, strawberries or raspberries and scoops of frozen melon will be an extravagant addition to any party! Iced fruit can be prepared the day before and takes very little effort. 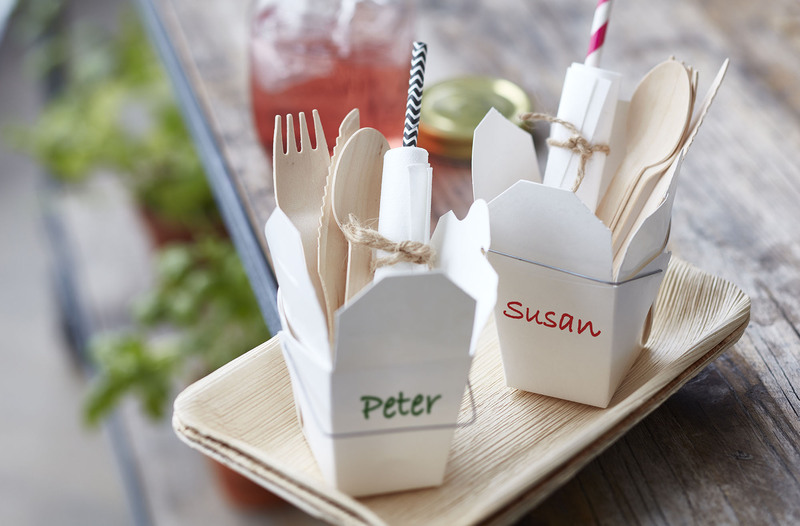 Help your guests tackle the buffet and wrap napkin and cutlery in one – and if you want to avoid doing the dishes, choose wooden or plastic cutlery! 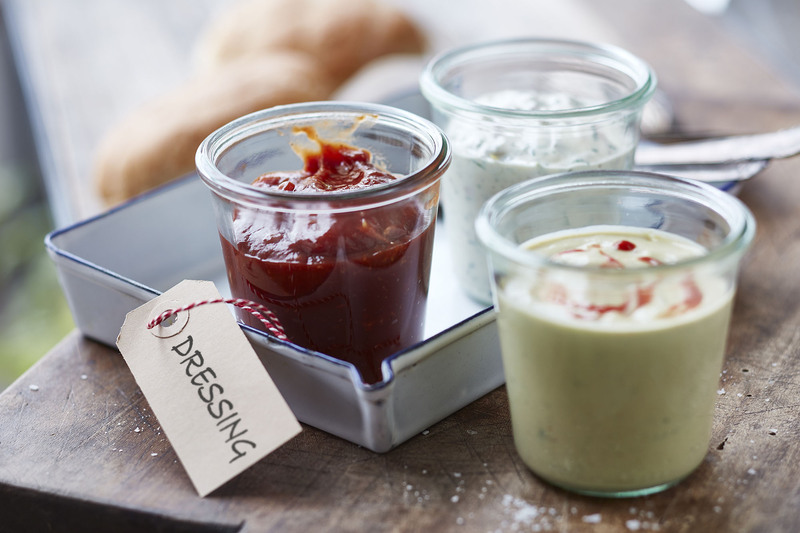 Make your own Burger dressings and serve in jars on the buffet. Your guests can actually see what they are eating and you avoid having a buffet of plastic bottles! 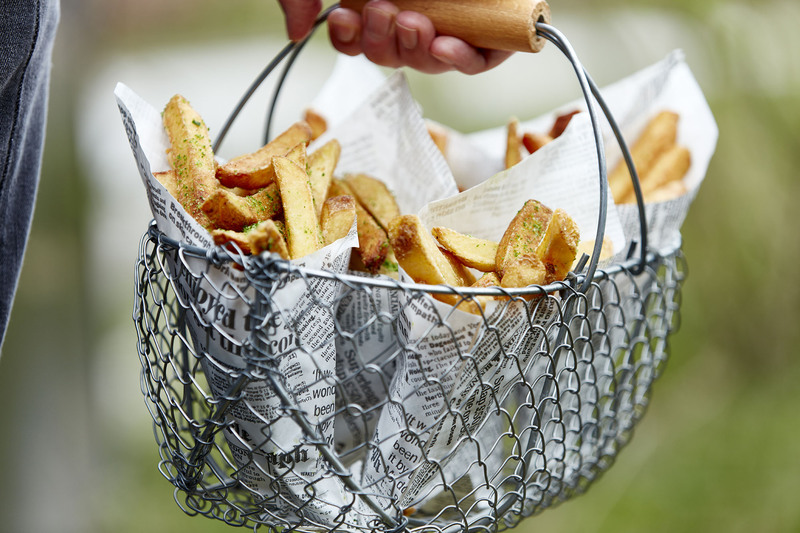 Fries are a perfect match for your homemade grilled burgers – sprinkle with salt and fresh thyme and serve in paper cornets for a crafted look!